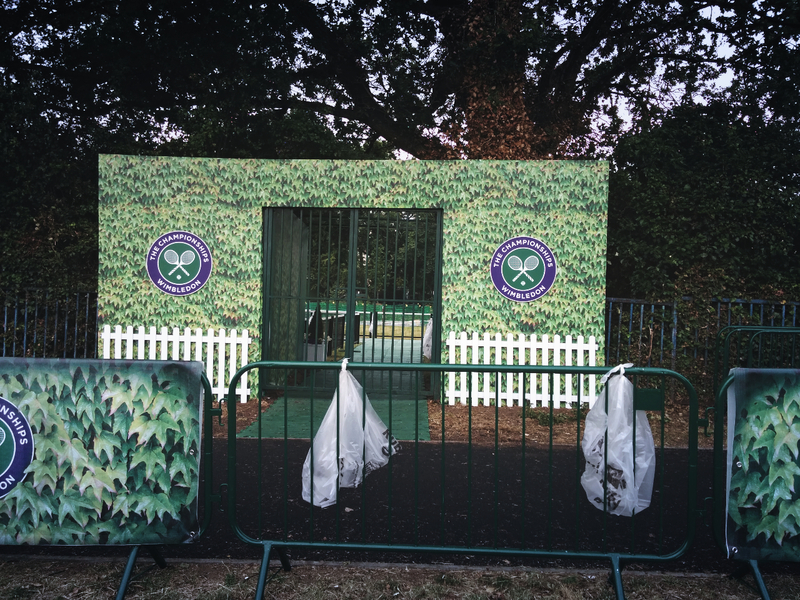 I live very close to the venue of the Wimbledon Championships, and for two weeks of the year, things become very hectic. One of the local supermarkets has changed the layout, placing bottled water and strawberries at the front, aimed at those going to the grounds, and thereby confusing me thoroughly when I needed to buy the normal day-to-day items. London Underground Southfields station becomes very busy, with a large number of people streaming out of the station during the morning, and many people entering it in the evening, which is opposite to the normal flow of people, as many local residents communte into central London. Anyway, Wimbledon is rightly famous among others for the queue that forms in Wimbledon Park. For those who want to obtain a Centre or No. 1 or No. 2 Court ticket, that means pitching a tent, often for two nights. Here are a few photographs I took in Wimbledon Park this afternoon. The queue is managed in a very orderly fashion, and there are many stewards — and they tend to be really friendly and approachable — who guide people to the right place. Note it is not just a queue, but The Queue with a capital T and a capital Q, like The Queen. The queue, sorry, The Queue starts in Wimbledon Park, however, there is a fair distance to go after this gate before reaching the turnstiles. 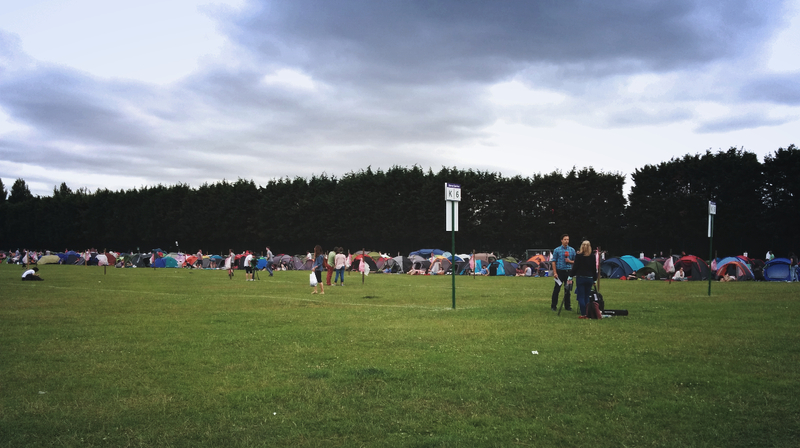 If things have not chnaged from previous years, then those queuing will walk through the adjacent golf course, where there are left luggage facilities, security checks, and also a few tents by the sponsors handing out freebies. 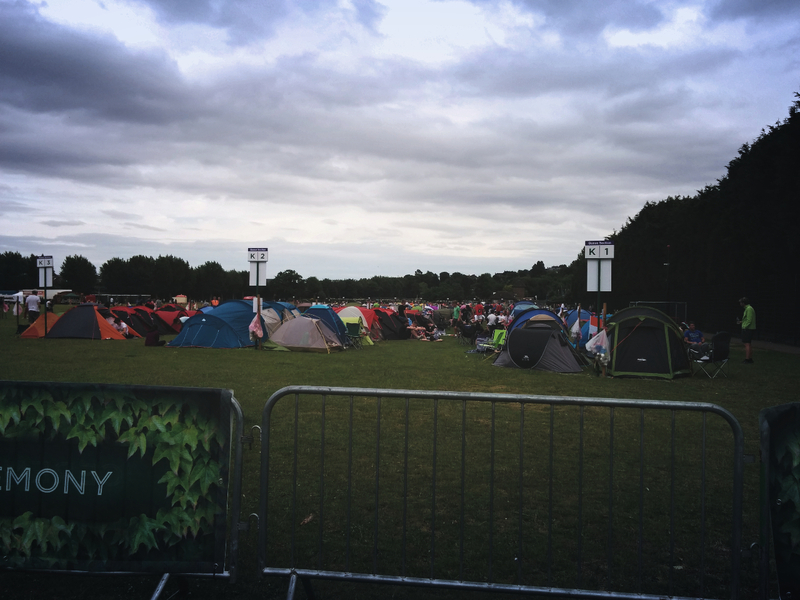 There are restrictions with regard to things that spectators can take into the grounds. 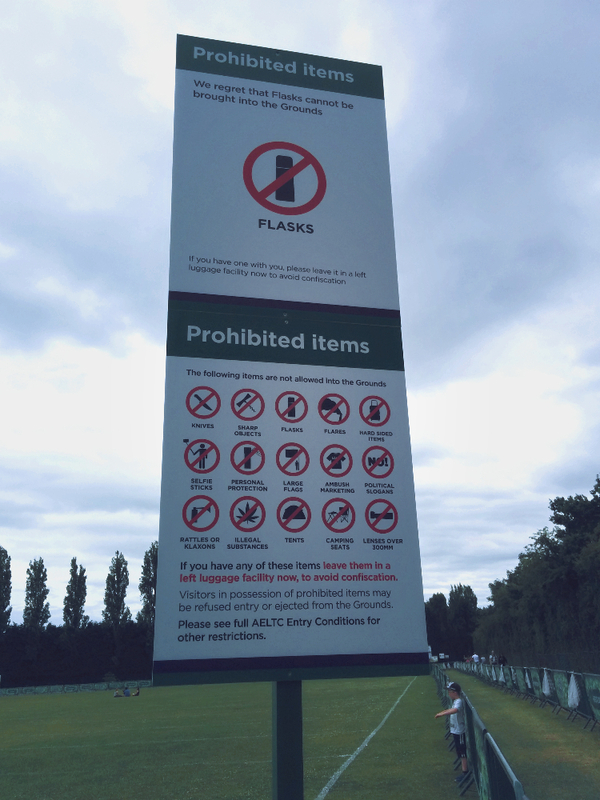 No selfie sticks, and no flasks. The no flask rule must be recent or it has been decided to enforce the rule more vigorously: I have taken a flask in previous years and the security guards were not concerned by it. Not allowing selfie sticks is a good thing, and I do like the sign. There are many reminders about the rules: no selfie sticks, payment is by cash only, one bag can be taken into the grounds rather like on an aeroplane, and it is one ticket per person. As expected, there is already a large number of tents pitched up in Wimbledon Park: there were media crews covering the queue.